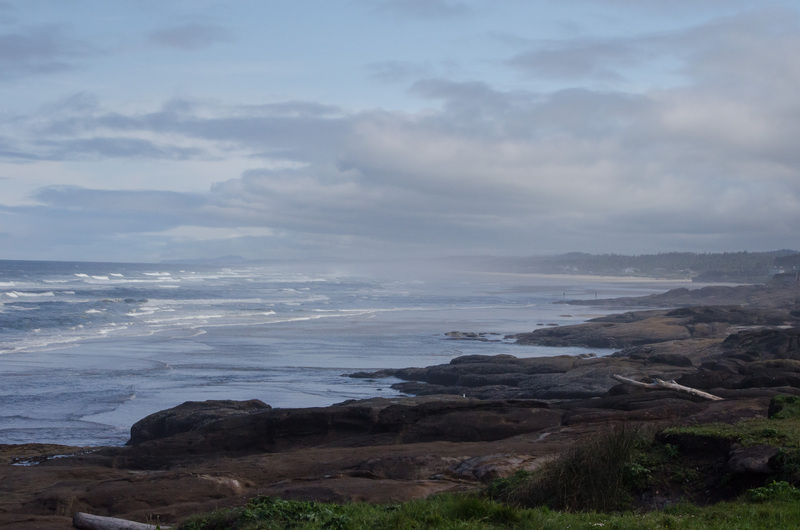 Continuing ever north, the next bit of exploration included a stop in Yachats. The rocky coastline goes on for miles, and the day was classic Oregon: fog, blue skies, cold wind, warm sun, all at once.In a word, perfect. 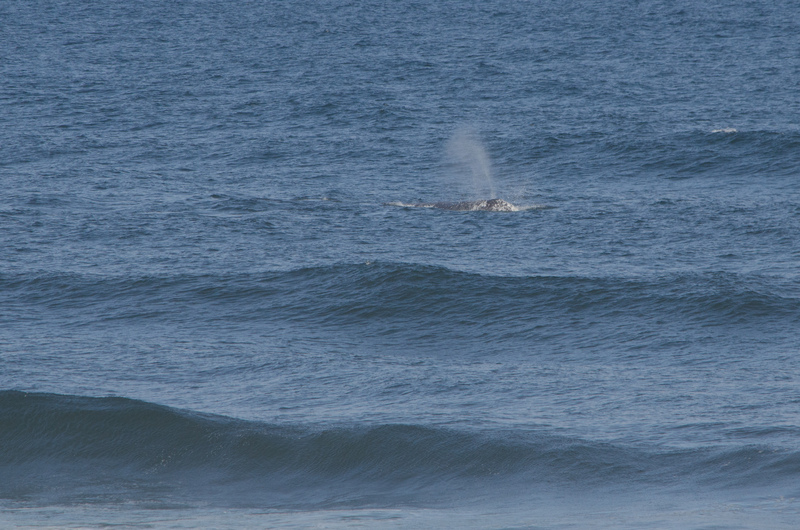 As the whales moved on, so did I. It was a holiday weekend, so many popular locations on the Central Oregon Coast were bypassed in hopes of avoiding crowds. 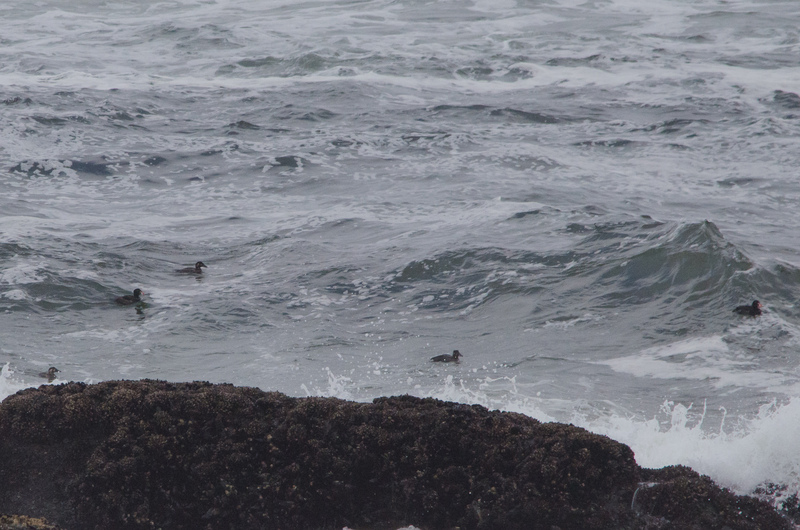 A stop was made at a favorite birding location of mine, Boiler Bay, just north of Depoe Bay. I’ve had some wonderful luck in the past and it keeps me coming back. 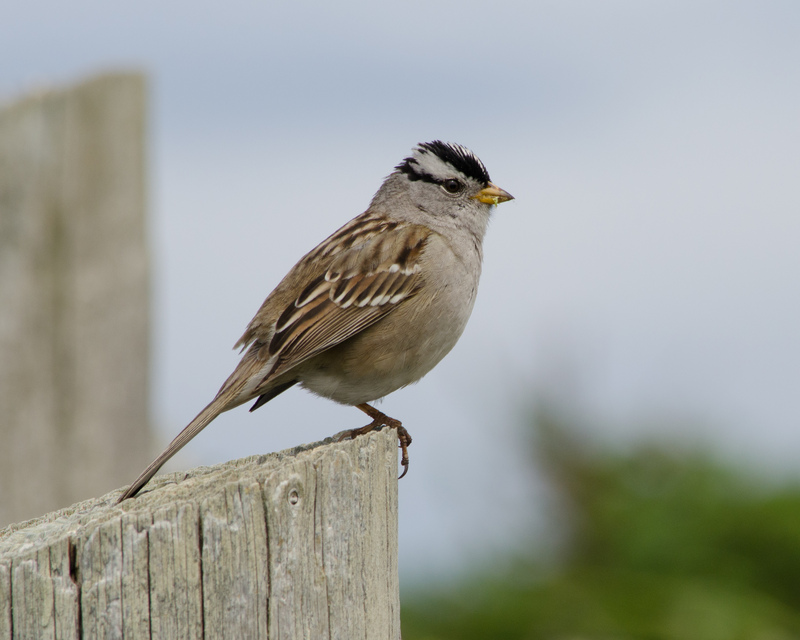 Several white crowned sparrows joined me at the fence as I moved to look out into the bay. 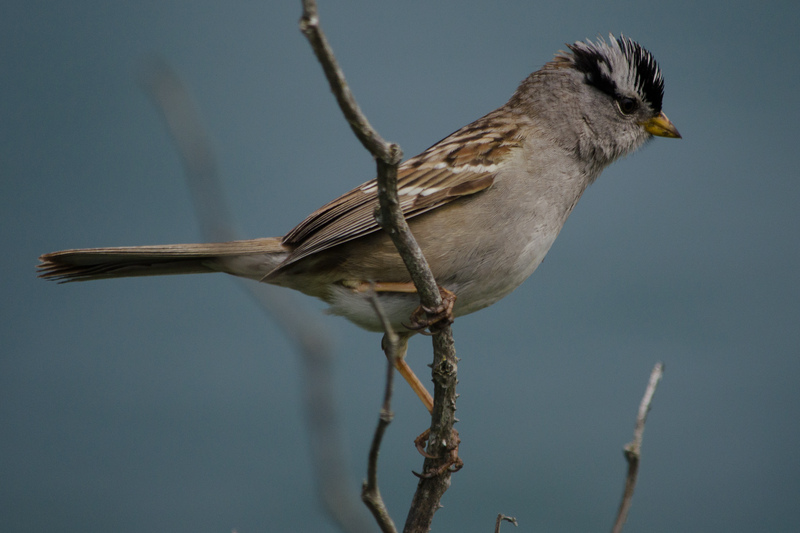 Although not an uncommon bird, they were incredibly cooperative as photographic subjects and that is always something I appreciate! 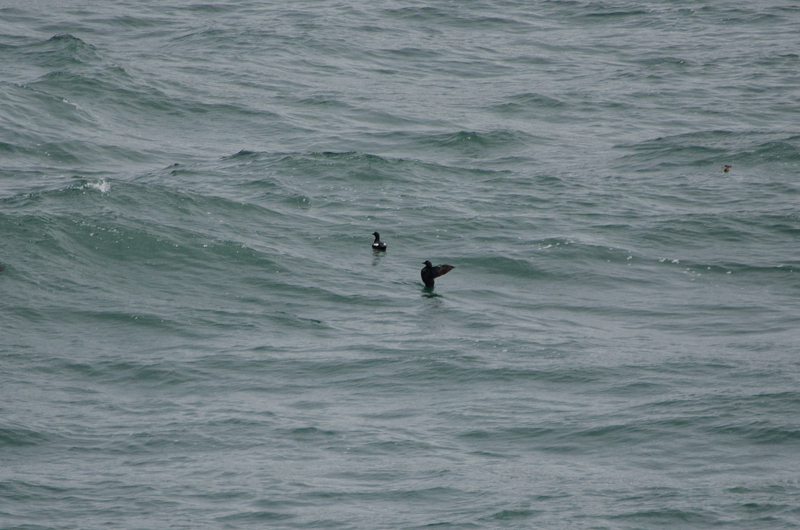 Pigeon guillemots and pelagic cormorants were easily spotted on the waves, with the cormorants occasionally coming up to land on the cliffs directly below (and pretty much out of sight). The pigeon guillemots are easily identified by their black heads and bodies with large white patches on the wings and bright red feet. Overhead, several American crows harassed a family of bald eagles that had arrived from the tall pines across the highway. 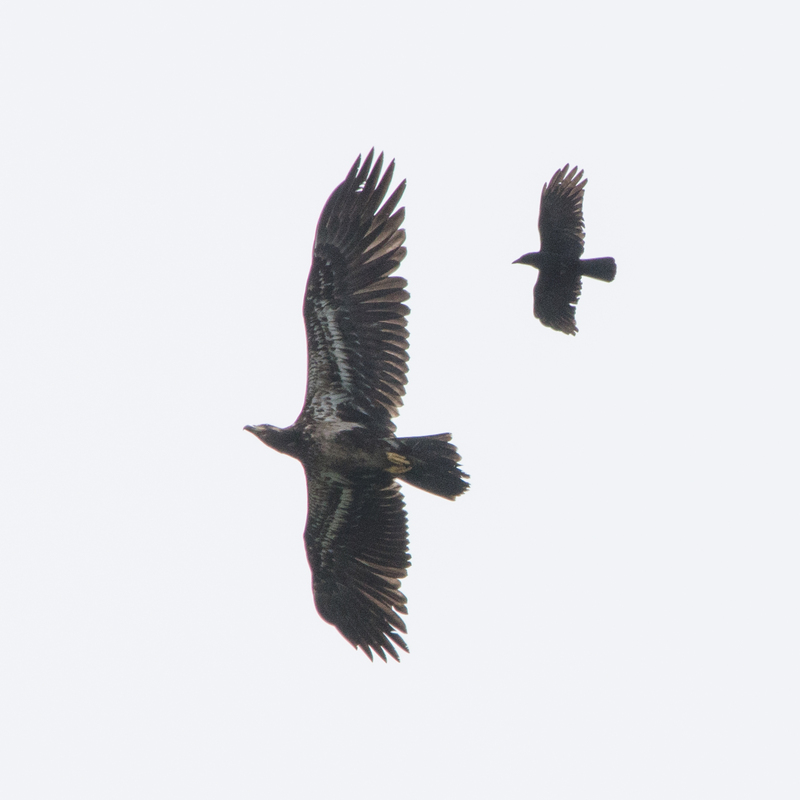 Two adults were soaring with three juvenile eagles, and the crows seemed to target the younger birds in particular. The noisy encounter lasted several minutes, until the raptors glided back into the forest. As Highway 101 winds north, there are points at which it diverts further inland and the ocean views are traded for towering forests. There are a few scenic detours when this happens, one of them being the Three Capes Scenic Route. Opting for this detour lead to a layover at Cape Meares, famous for its lighthouse and close to Tillamook. 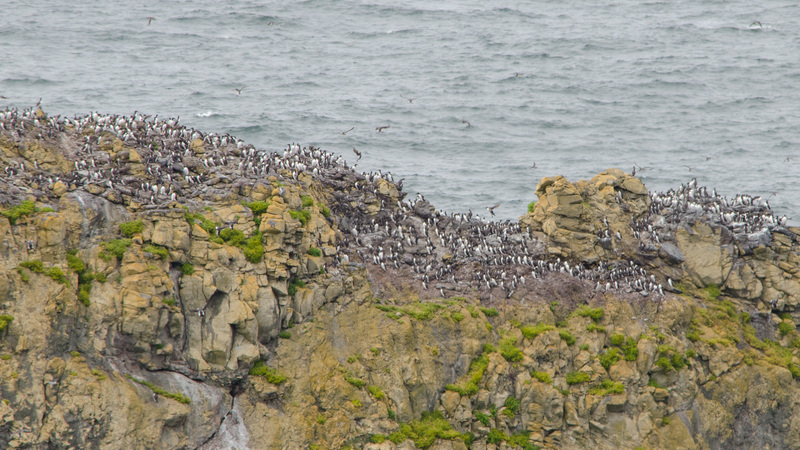 From the trails leading along the cape, there are fabulous views of nesting common murres, gathered by the hundreds if not thousands along the rocky islands standing over the ocean. Reminiscent of penguins in their black-and-white feathers, the huge numbers were capturing the attention of everyone visiting that day. The forests along the trail draw in other feathered visitors as well. 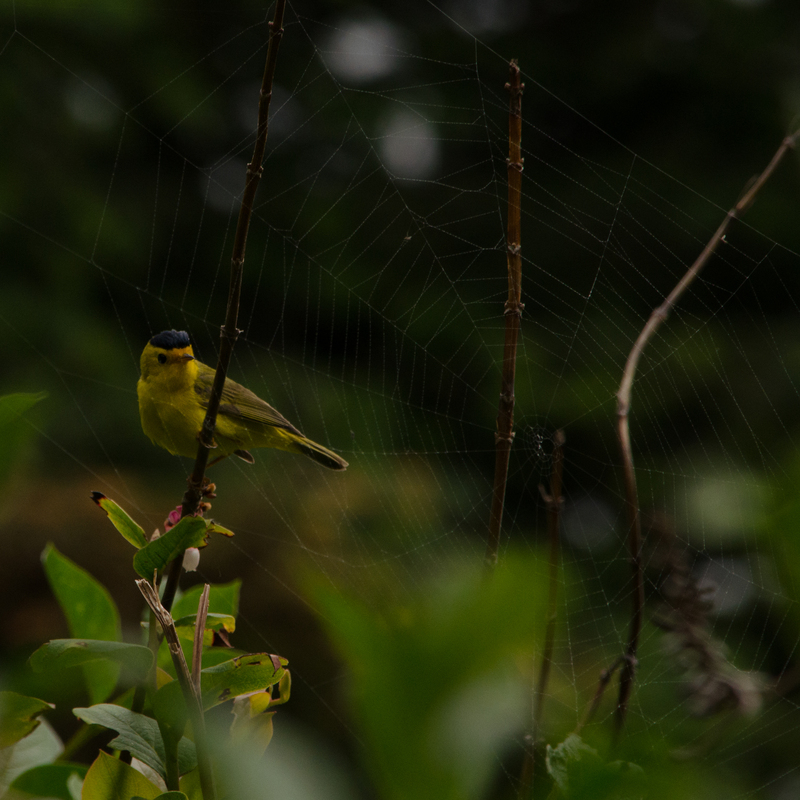 Spying a bright flash of yellow, I surely confused (and possibly annoyed) several others on the trail as I moved up and down a short segment until the source of color materialized as a Wilson’s warbler. 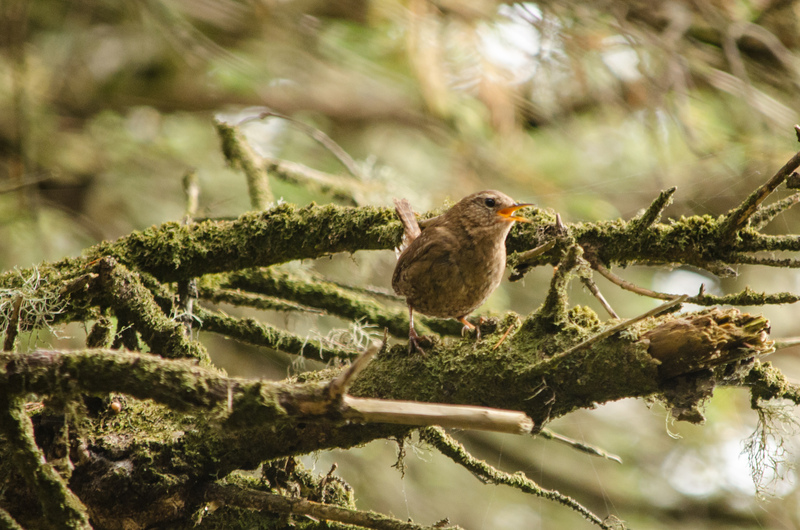 Enroute back to the parking lot, a loud song from a nearby pine was impossible to miss and it only took a moment to spot the source: a house wren was singing from the lower branches, stopping for a few bright notes before moving to a new perch and eventually disappearing from sight. The final destination of this Oregon Coast tour was Fort Stevens State Park in Astoria, at the mouth of the Columbia River. 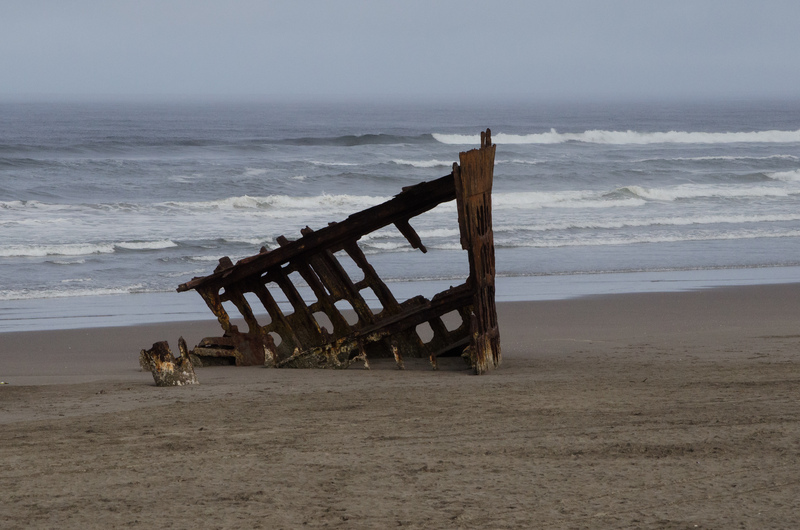 This is a huge park, known for camping, hiking, the fort itself, and even a shipwreck – the Peter Iredale. 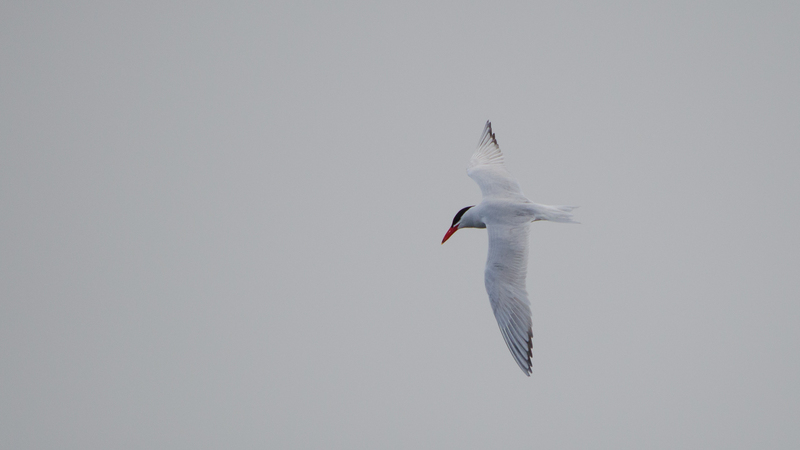 Walking along the beach, Caspian Terns called loudly as they streaked by overhead. A number of them rested on a distant jetty along with some Canada geese. 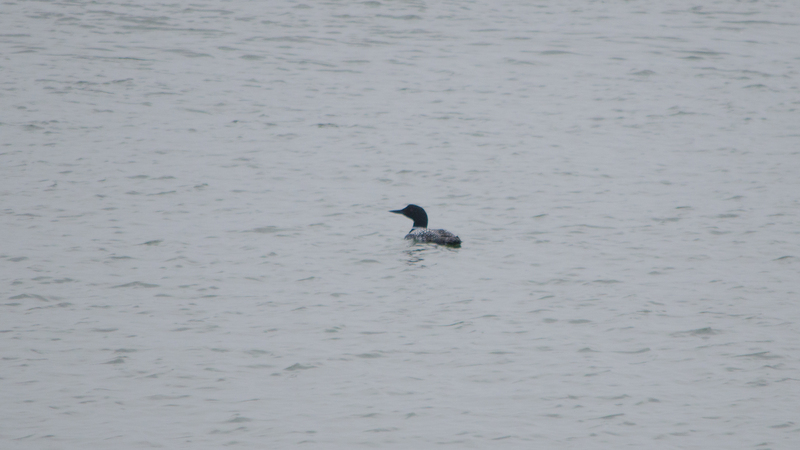 A lone common loon floated in the waters, seemingly content to just ride the choppy river. A lookout at one of the parking areas was swarmed by barn swallows, swooping around as they caught insects on the wing. Occasionally they would stop to rest, giving a good view of these rarely still birds. 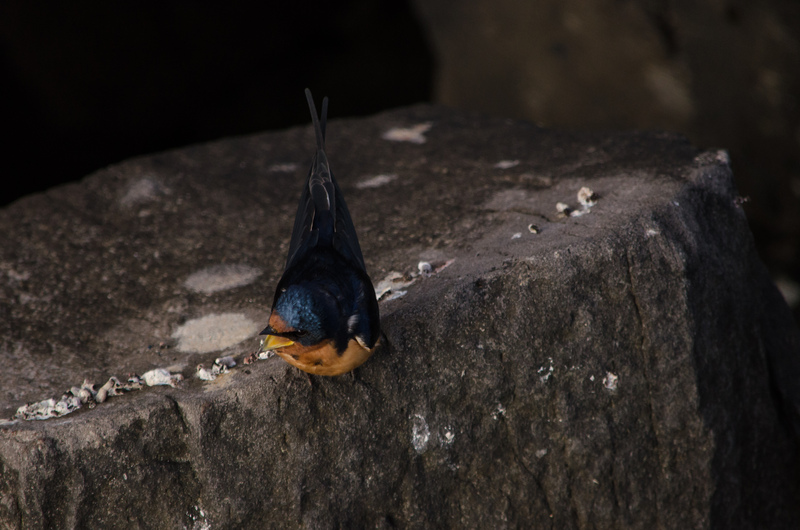 Their dark wings and back are an iridescent blue in the light, contrasting with their bright rusty-orange breast. 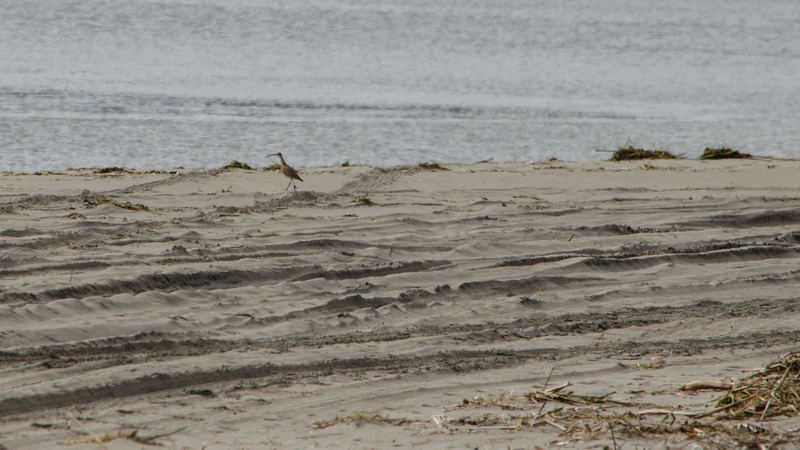 Fittingly enough, the last stretch of beach wandered on this trip also provided the last new bird for the venture: a lone whimbrel marched along, stopping here and there to poke at the sand but mostly appearing just to be surveying an area streaked with tire tracks. While overall a fantastic trip following Highway 101 from Northern California all the way up through Oregon, there were countless locations which had to be skipped for the sake of time. This is not altogether a bad thing, as it means it is a trip worth repeating and where there remains a guarantee of new things to see. Also encountered on the final leg of the trip were countless gulls, rufous hummingbird, mallard, double-crested cormorant, song sparrow, black-capped chickadee, and red tailed hawk. Be sure to visit my Flickr site for more images from my trip, as well as some of my other photographs. If you missed the first two legs of my Highway 101 journey, they can be found here: Highway 101: Humboldt Bay NWR and Highway 101: Northern California & Southern Oregon Coasts.